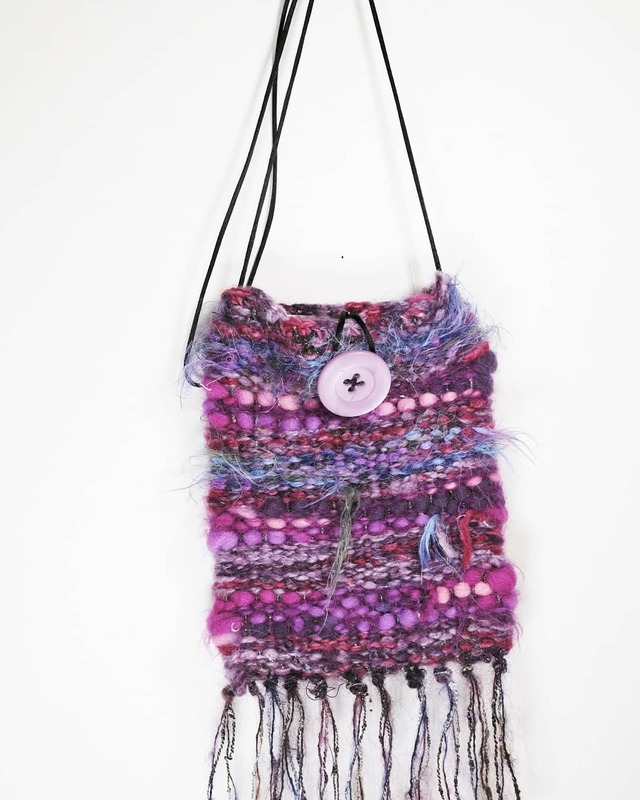 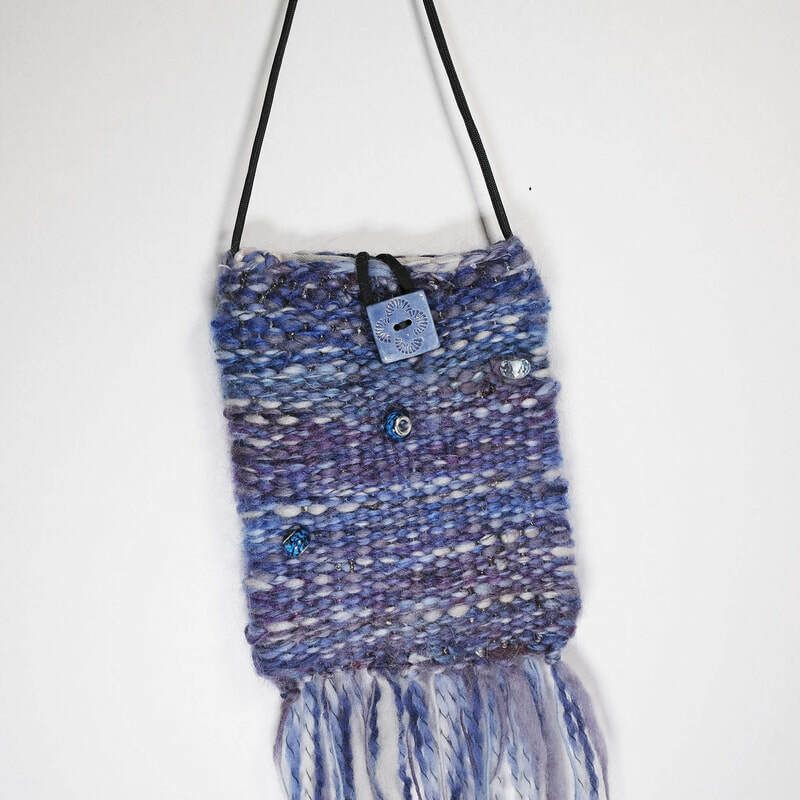 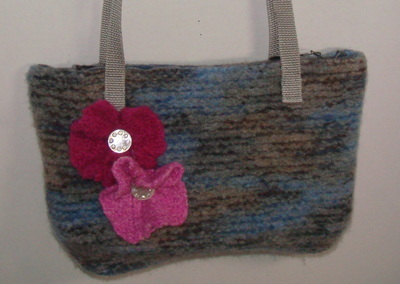 Made from recycled wool sweaters. 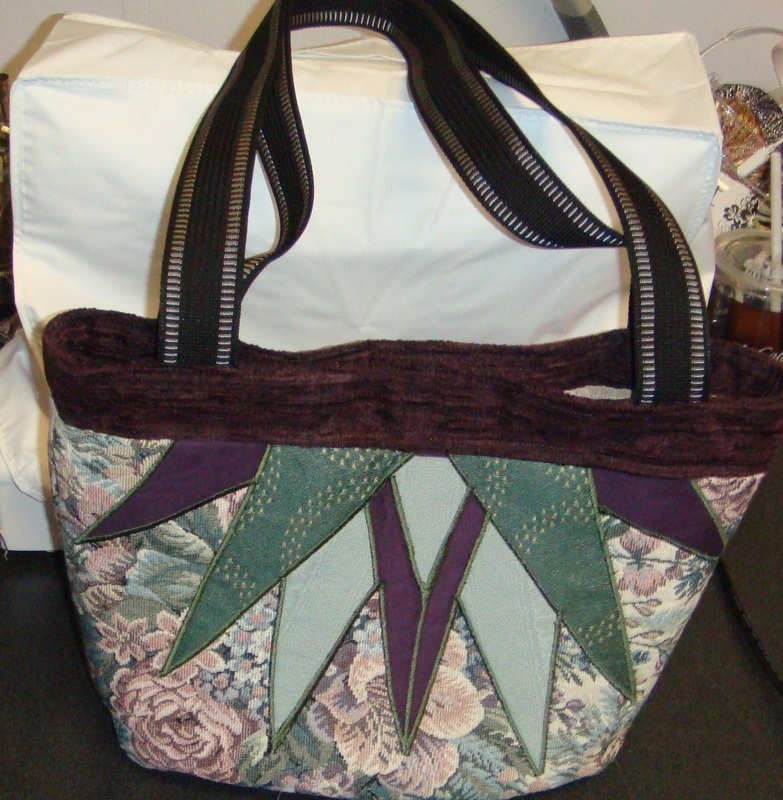 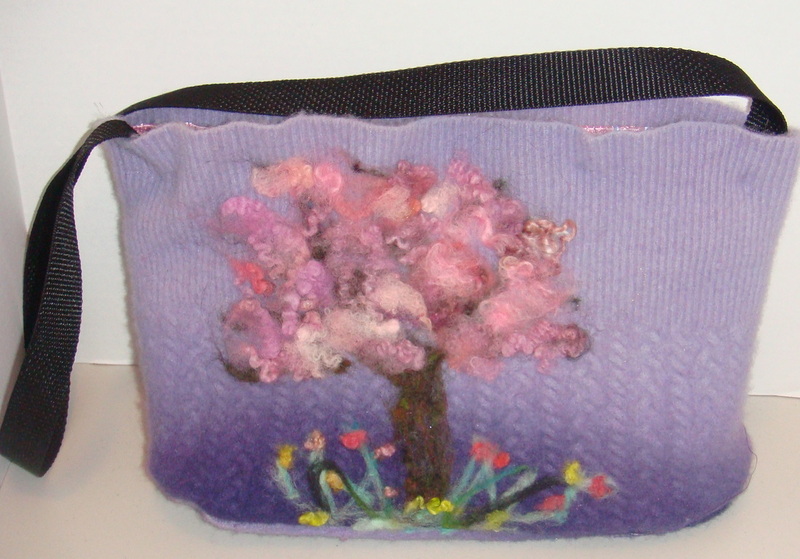 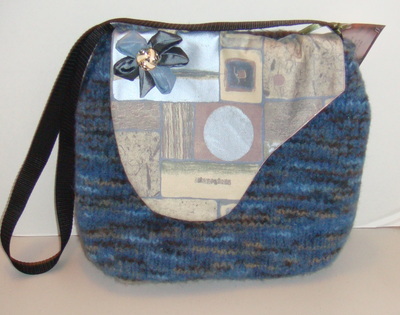 FABRIC BAG WITH ZIPPERED CLOSURE. 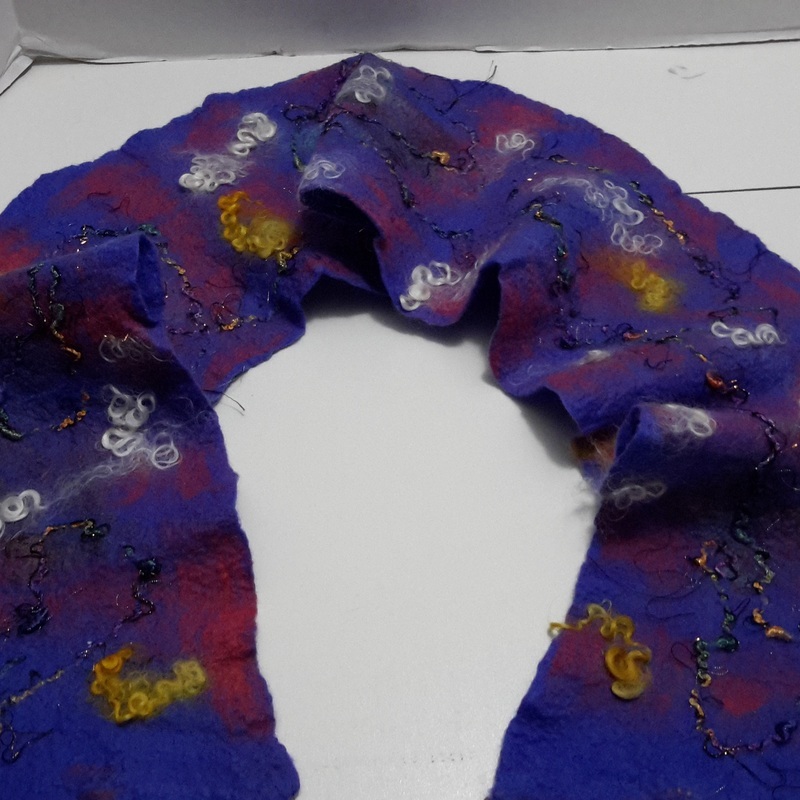 A GIFT I MADE FOR A FRIEND. 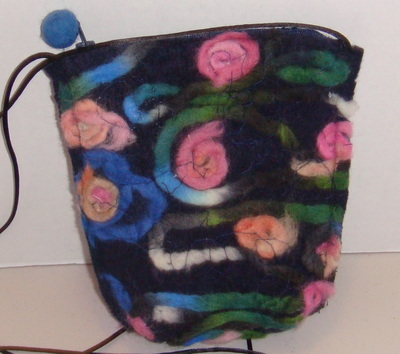 Recycled jeans great pocket. Lined inside with another pocket. 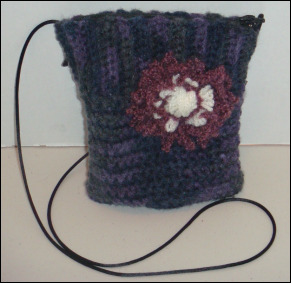 Cross body strap. This is the back of the bag. 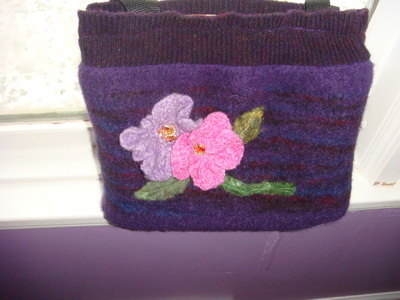 This is the front of the same bag. 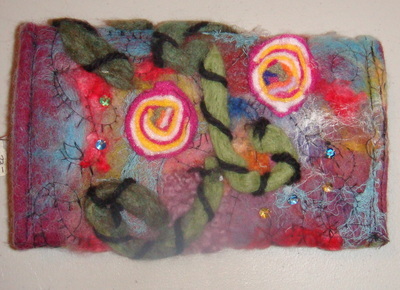 This was rug hooked with wool strips. One of a kind bag. 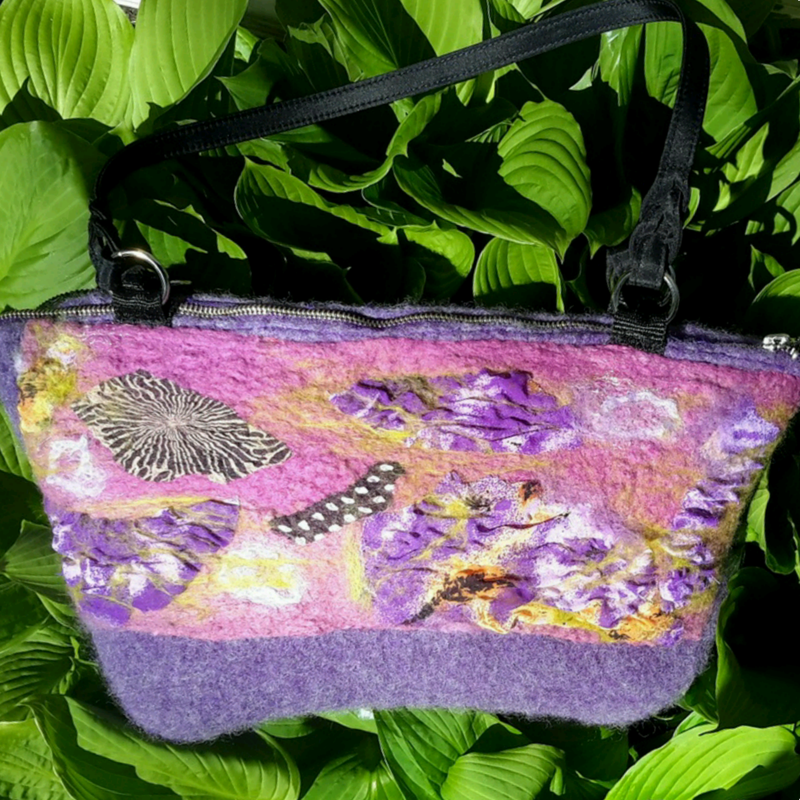 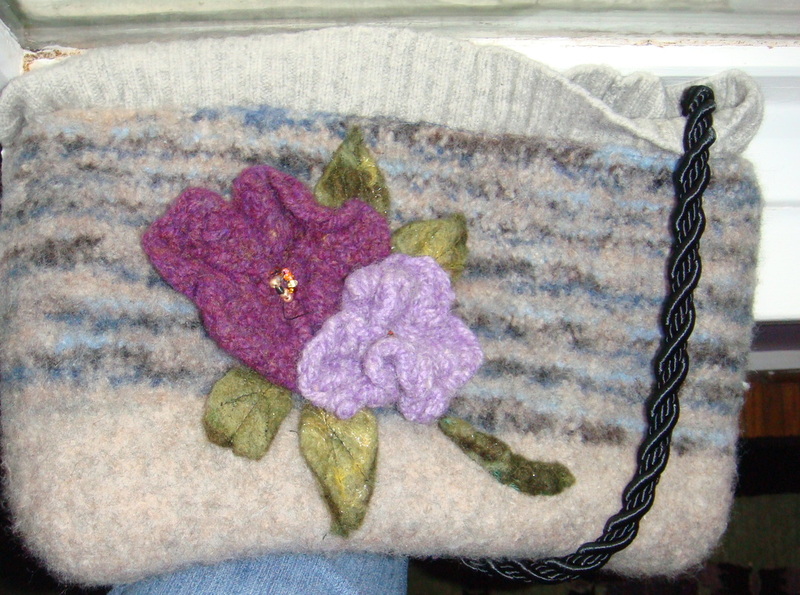 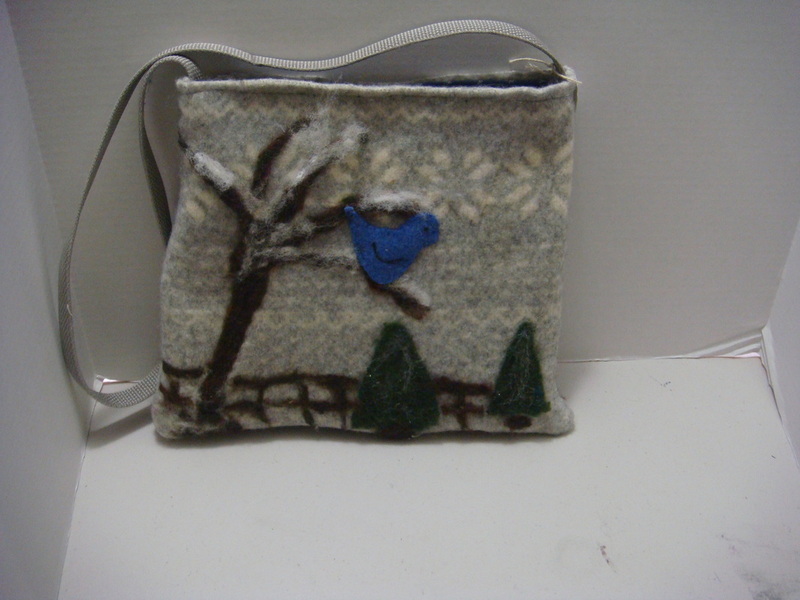 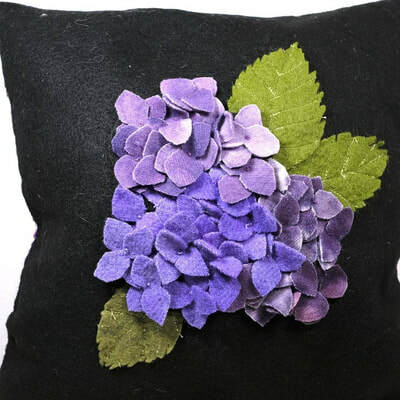 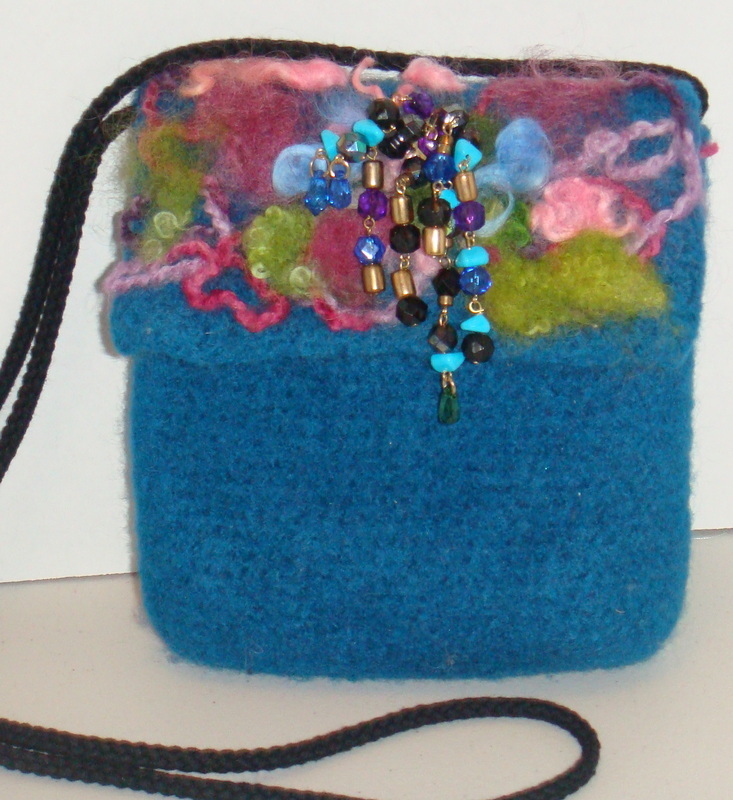 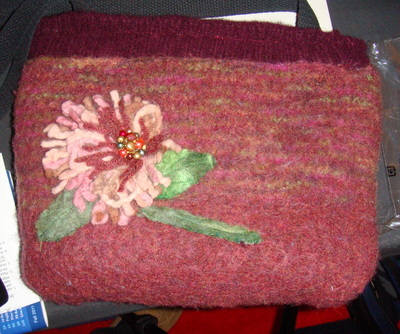 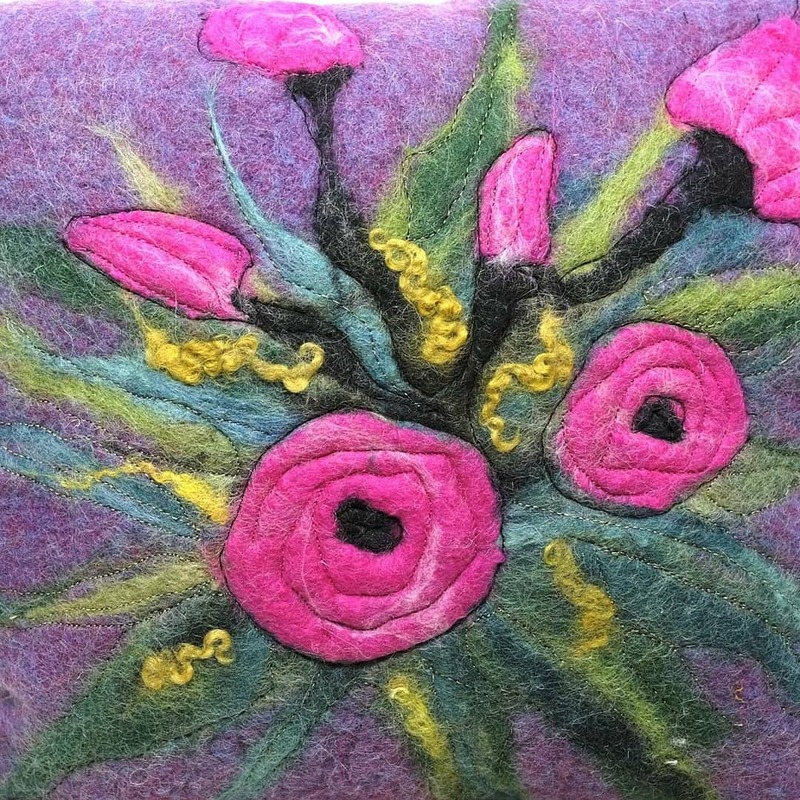 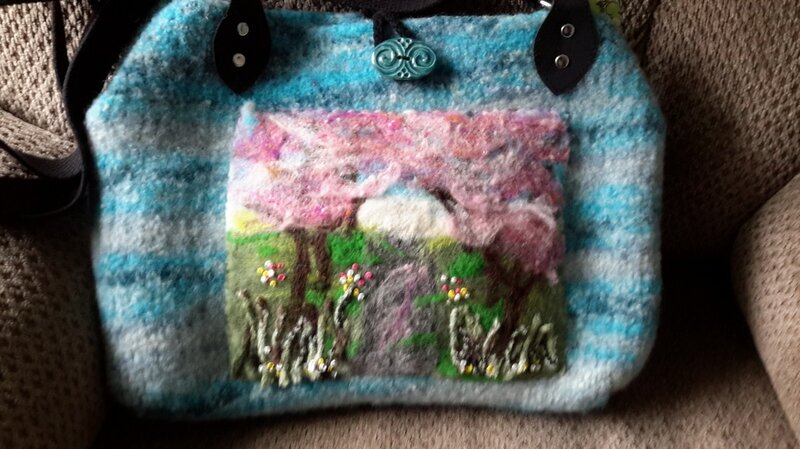 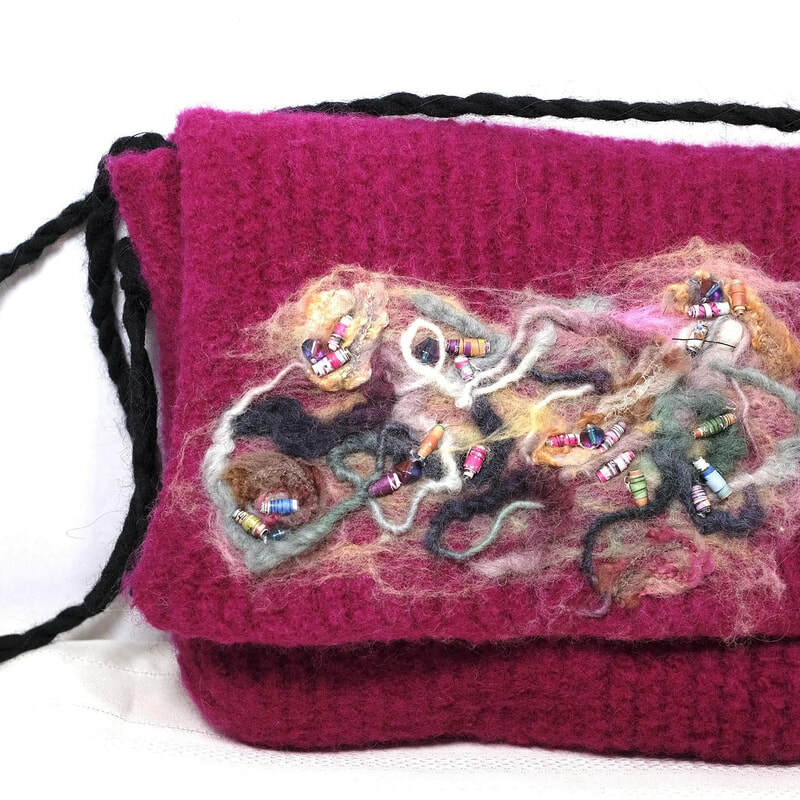 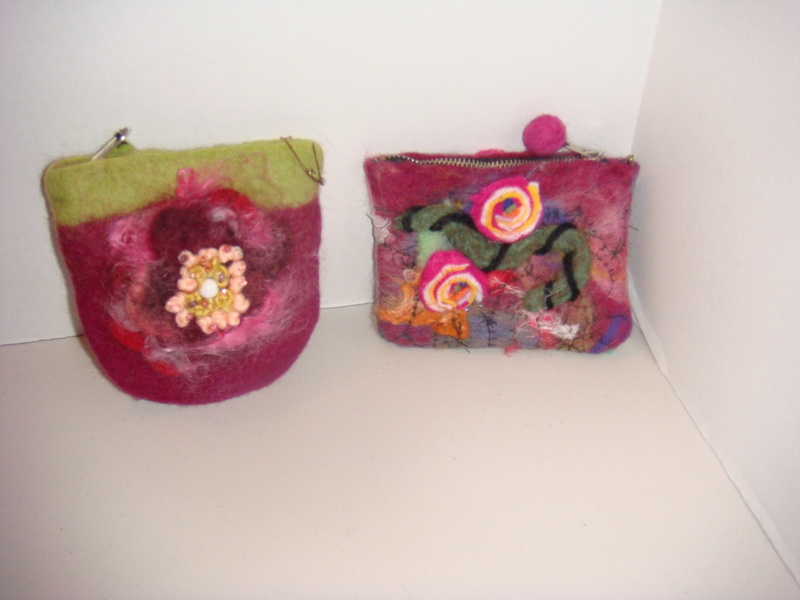 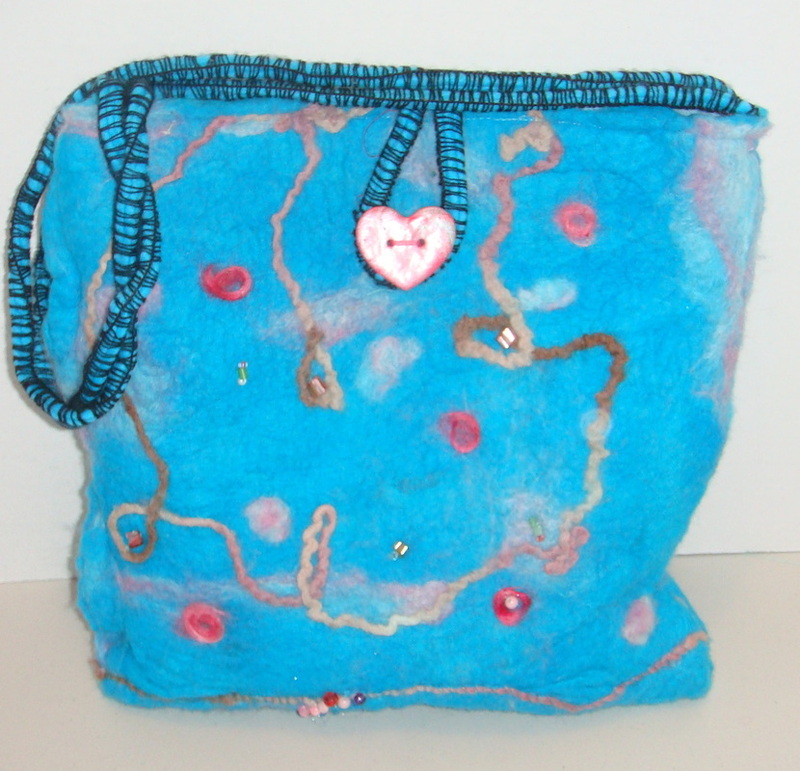 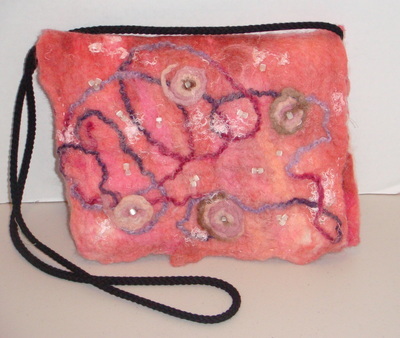 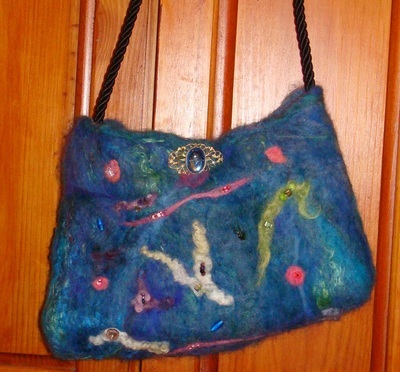 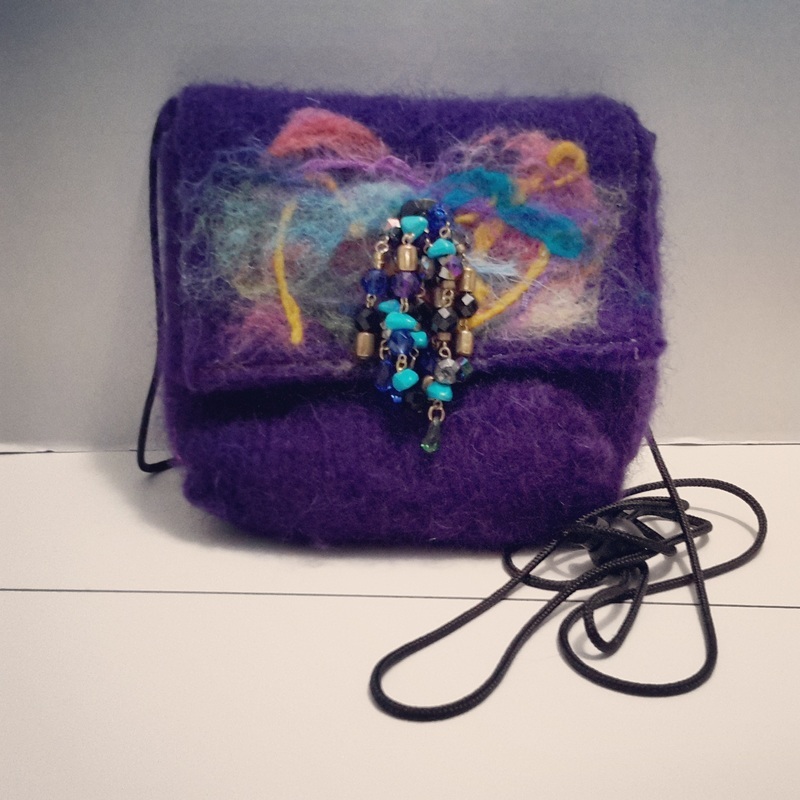 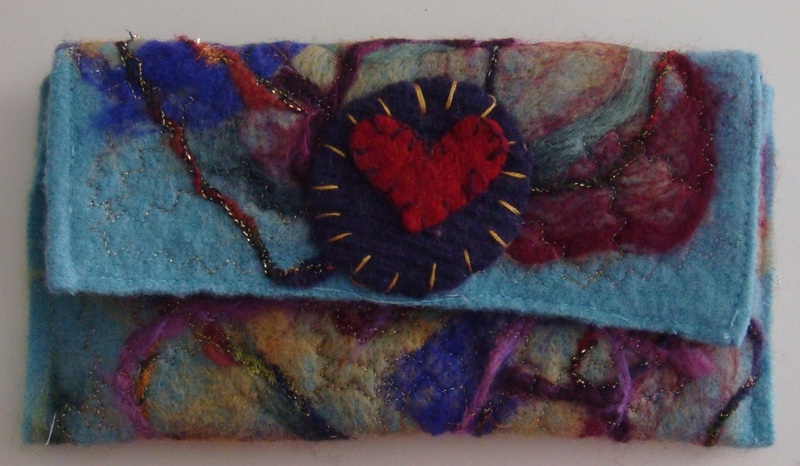 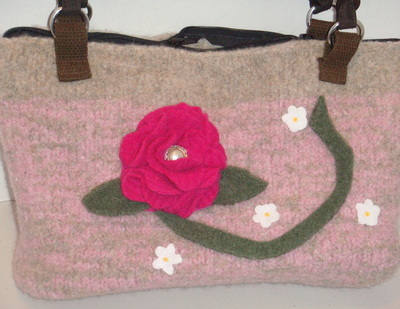 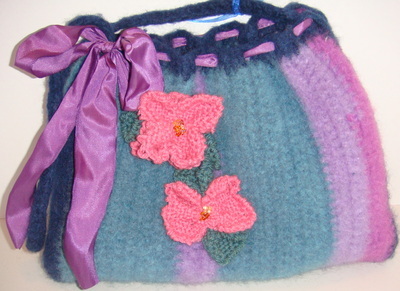 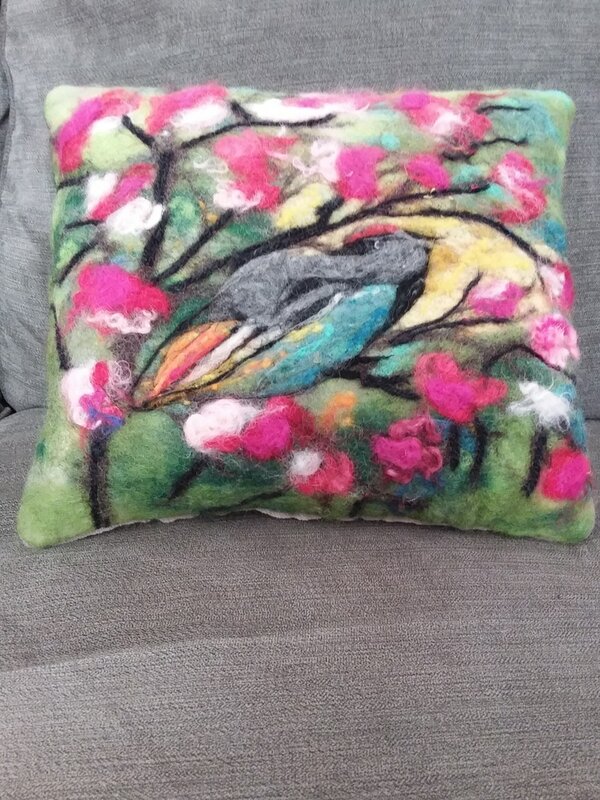 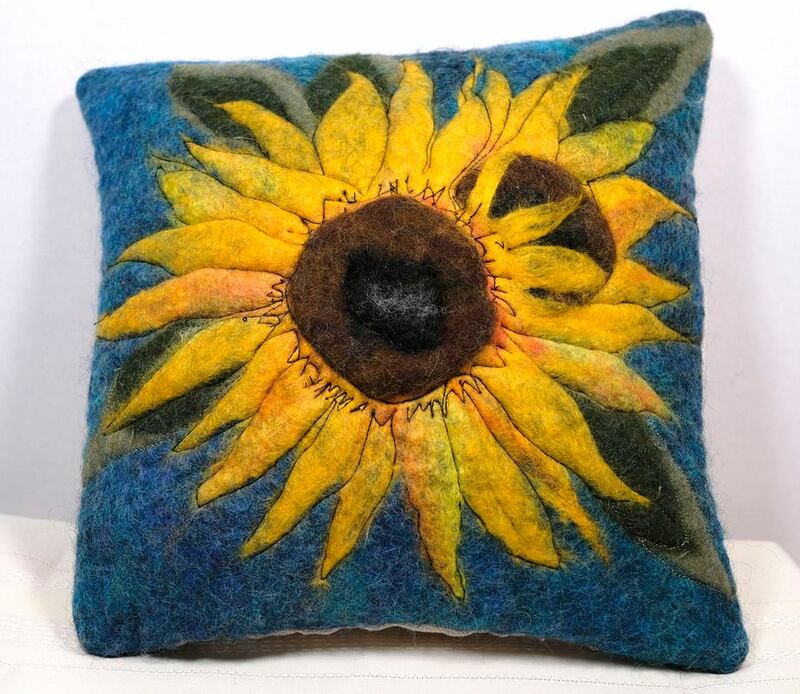 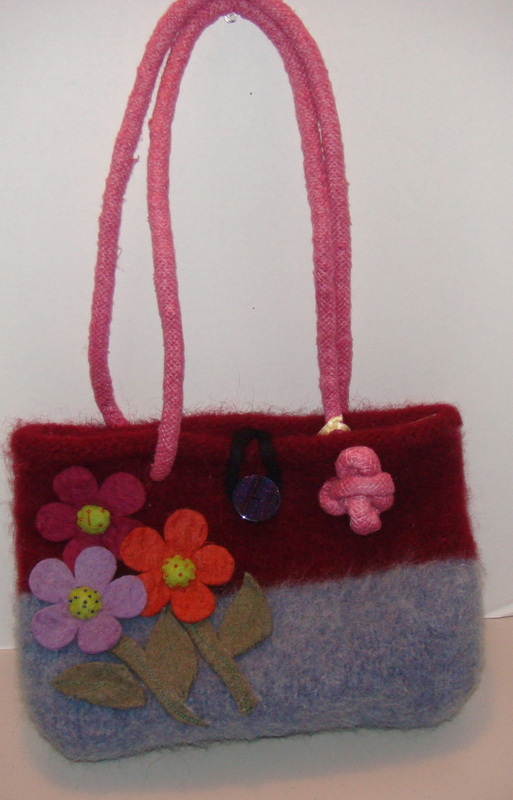 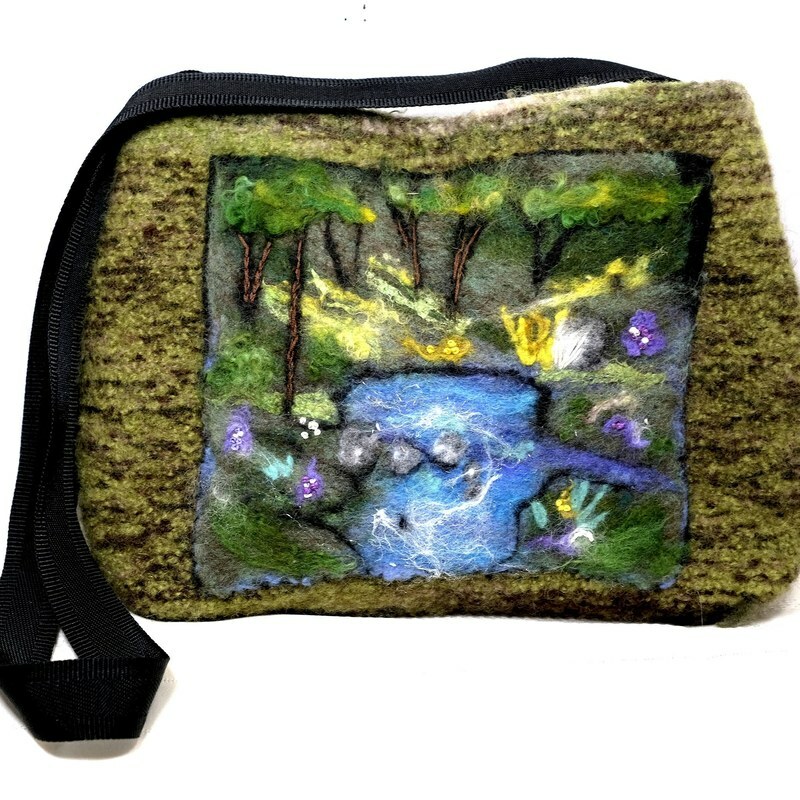 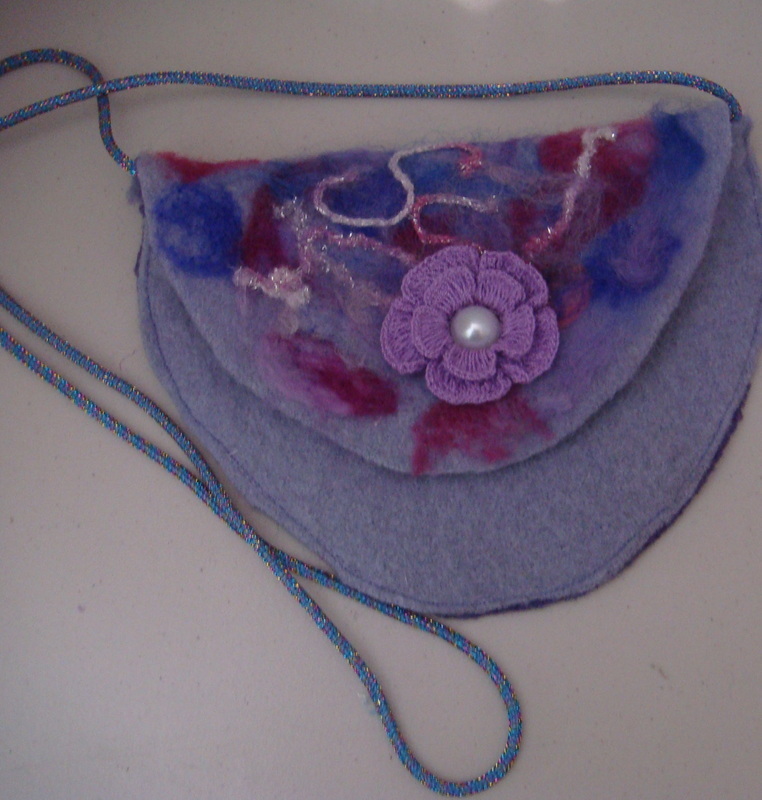 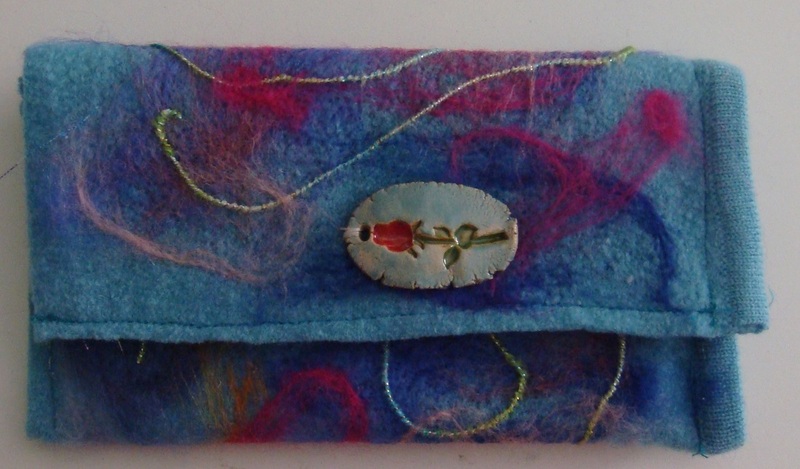 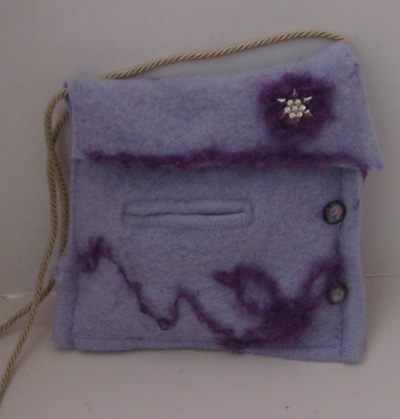 Hand Felted Design/Embellished with Beads. Small Cross the Body Bag For Evening Wear . 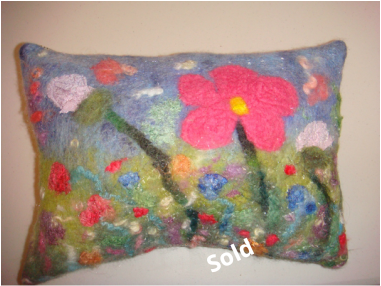 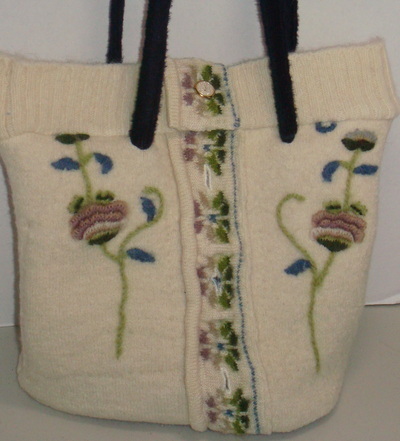 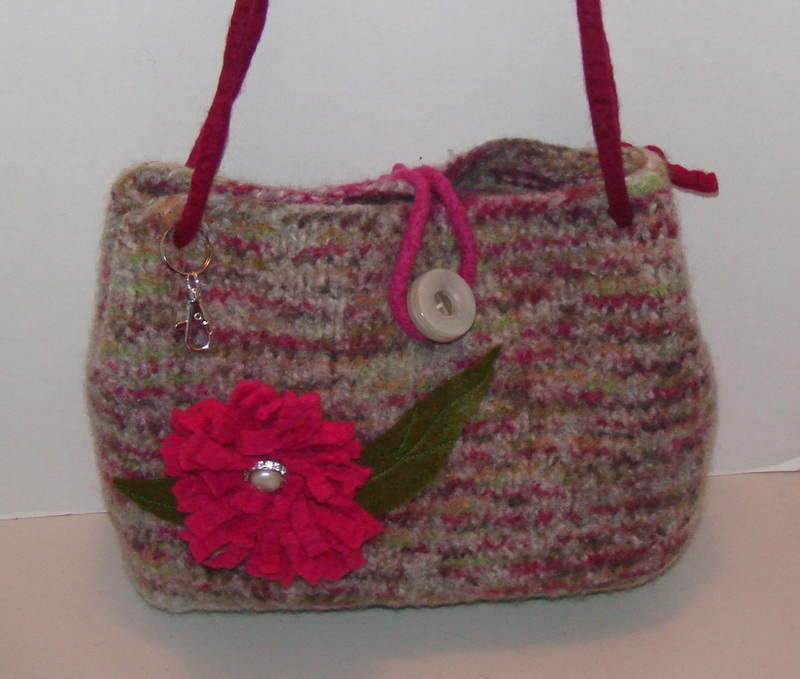 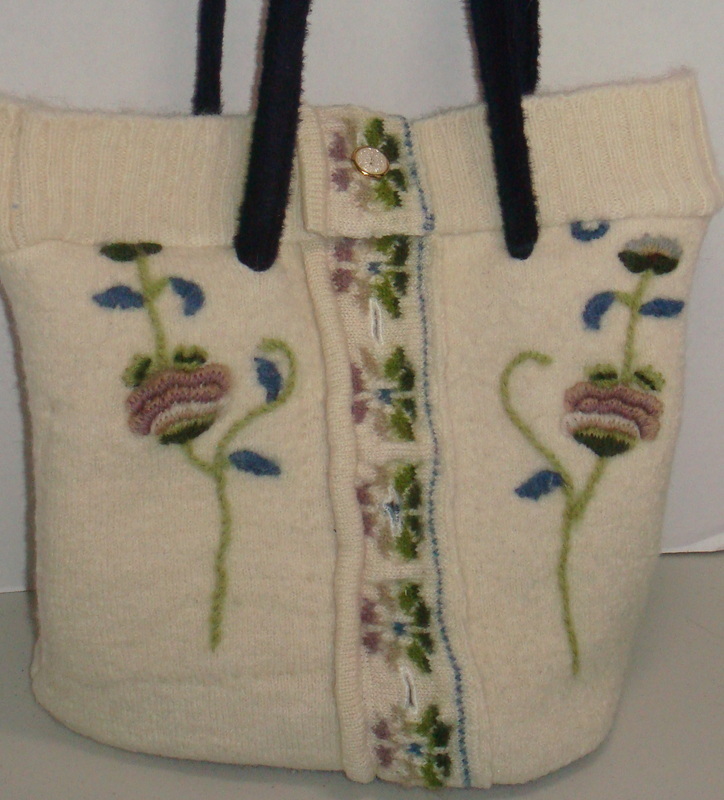 Made from recycled wool sweaters and I needlefelted colors of wool rovings to give it that special look. 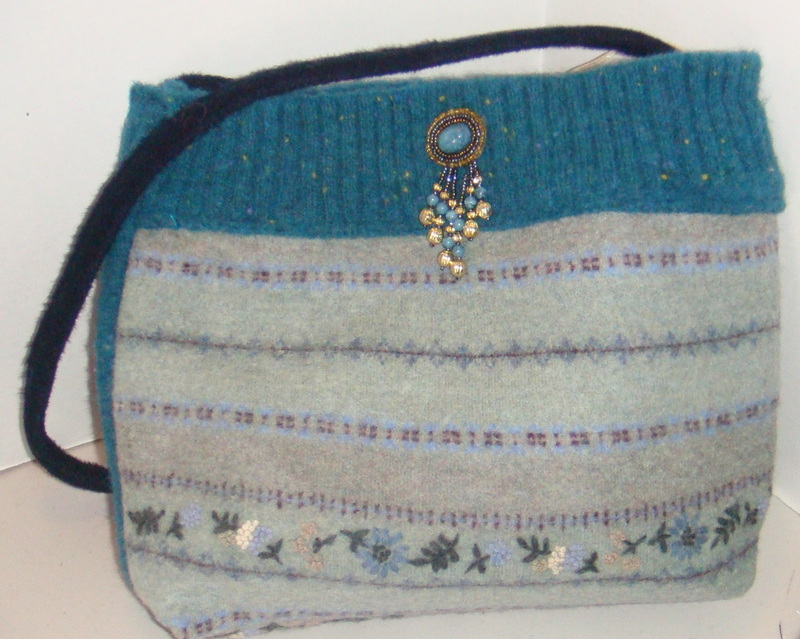 Embellished with antique earrings and lined inside with a pocket. 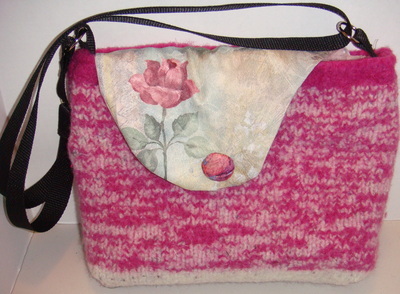 Change purse with zipper and lined inside. Embellished with my unique needle felted designs. 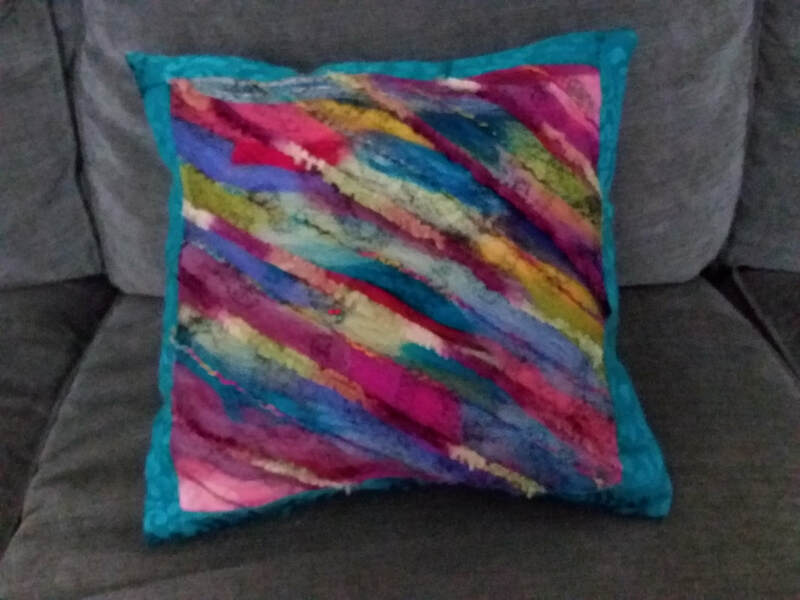 These 3 pillows were created with wool rovings by laying out my pallet on a wool base creating an artful design, its like coloring with wool. 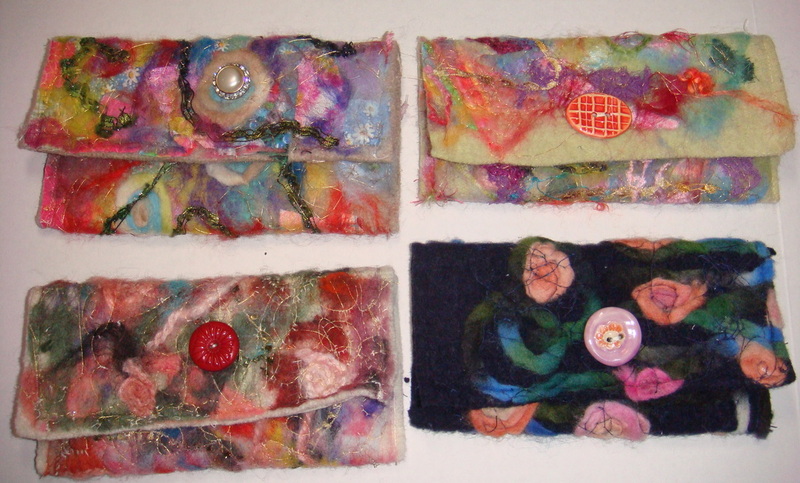 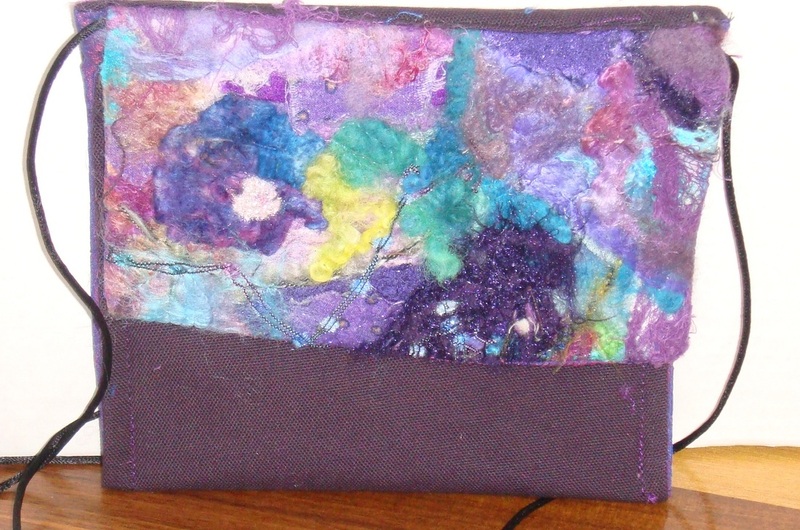 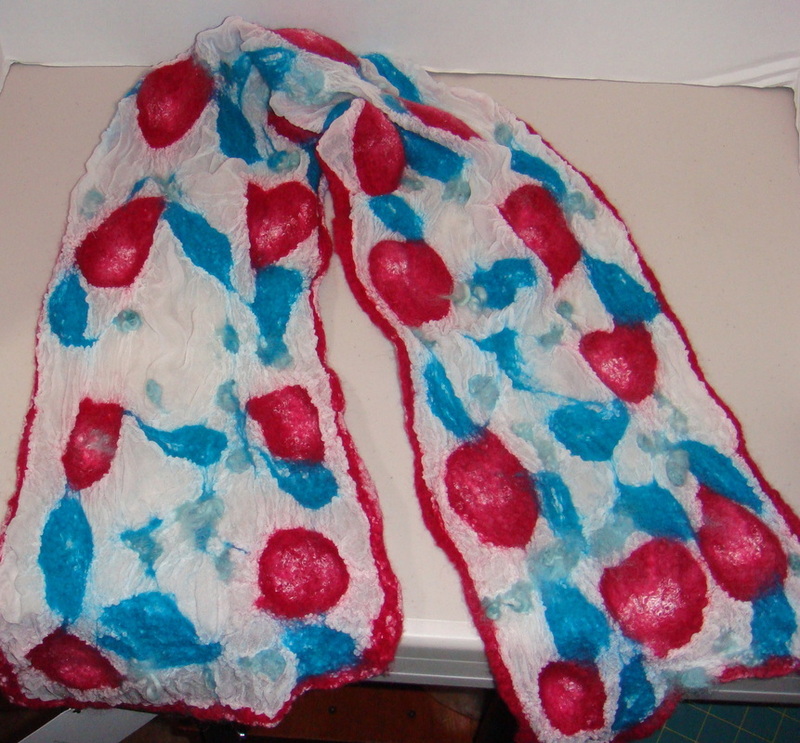 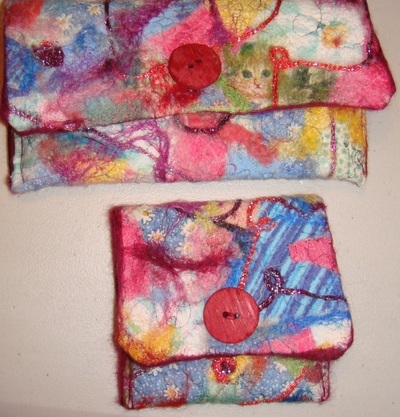 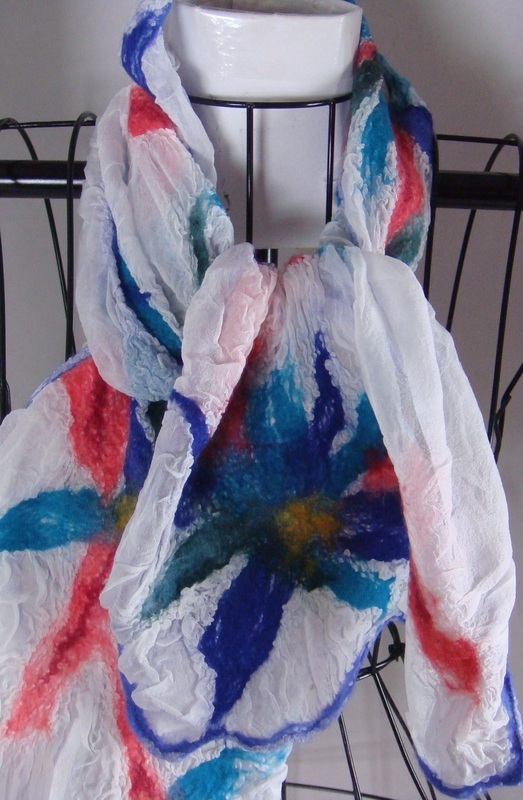 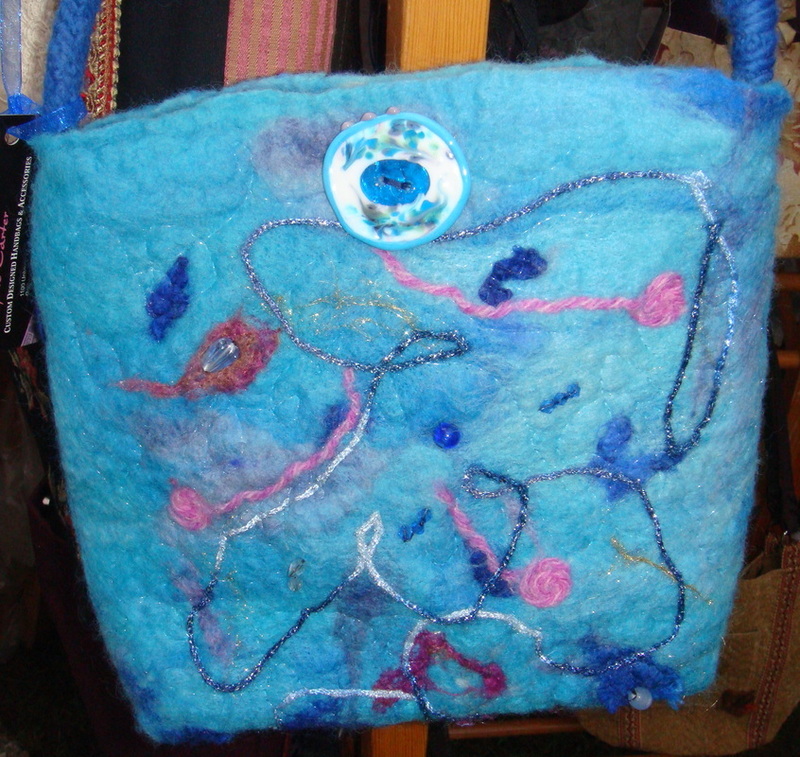 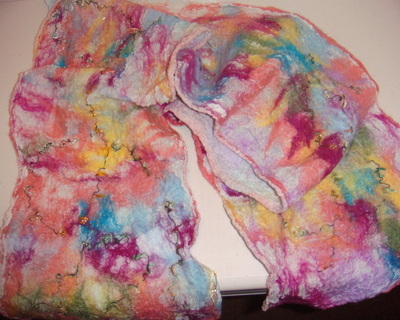 It is then wet felted with hot soapy water and rolling,pushing and embellished with sewing and beads. 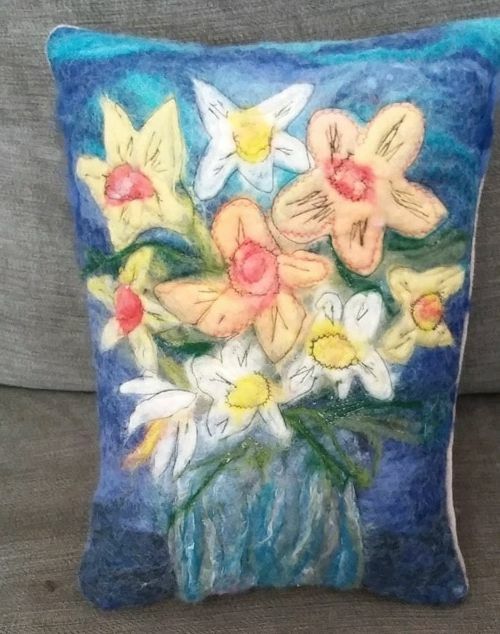 These pillows have been SOLD. 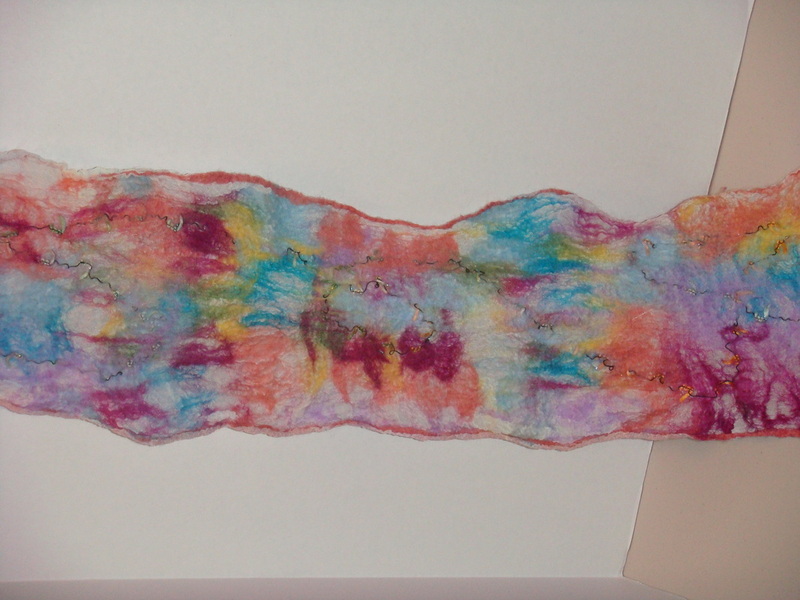 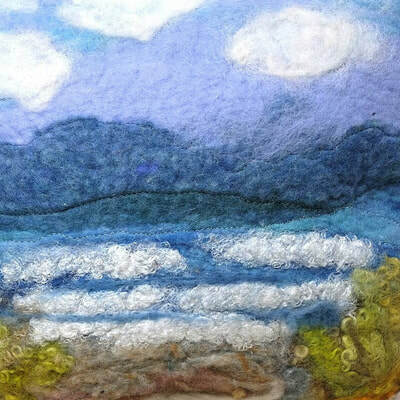 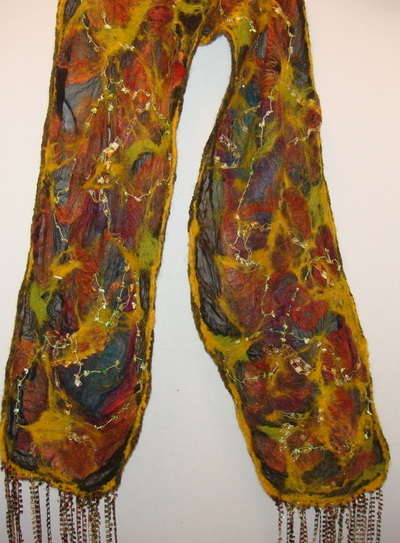 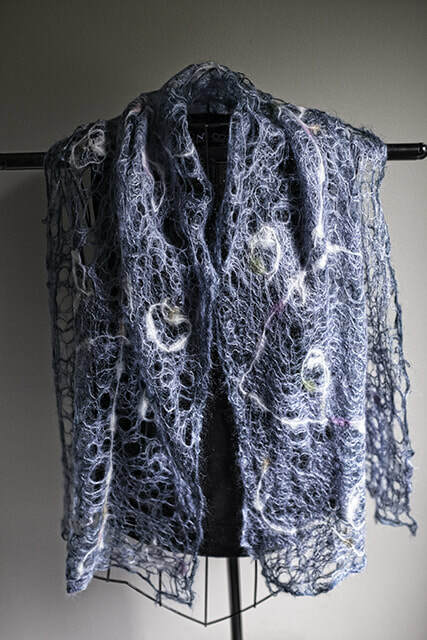 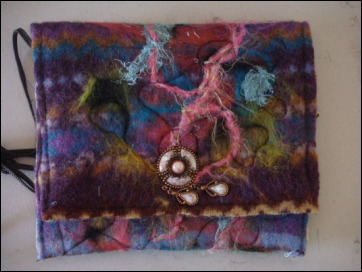 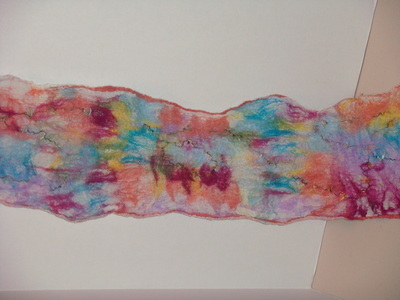 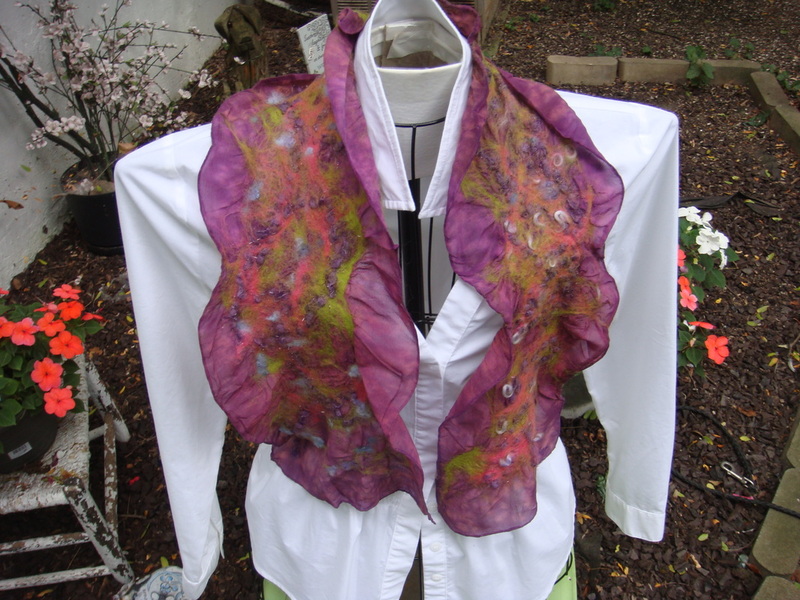 Wet felted on silk gauze with merino wool, yarns and are very soft.